Pink Hummer Limo. This vehicle is fully Loaded with all the comforts and extras you could ever wish for. This Pink hummer Limo Hire is the most sought after Limousine for hire in the U.K. Take a look at this monster! 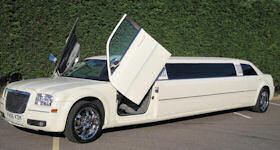 This fantastic Super-Stretched Limousine finished in gleaming baby pink. 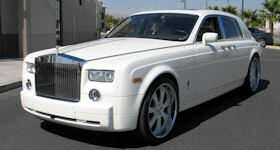 Ready to go - be one of the first to hire this out-of-this-world Limousine. 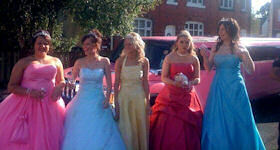 Pink Hummer limo hire. 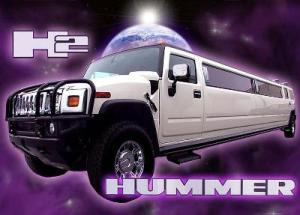 Pink Hummer Limo Hire is like no other pink hummer limousine, it is custom build from the start to finish. fully loaded with x3 T.v`s. dvd player, laser lights, strobes, 1800 watt sound system that will blow your mind, Disco Floor, star lights, optic lights, pink leather interior, 22" Chrome alloy wheels.